SINGAPORE, Nov 17, 2011 - (ACN Newswire) - Singapore Airshow, Asia's largest and one of the top three aerospace and defence shows in the world, continues to attract strong support from leading industry players and thought leaders from the government, military, aviation and academia, who will be participating in its strategic high-level conferences and business forums next year. The Asia Pacific Security Conference (APSEC), held on 12-13 February 2012, will gather senior executives from the aerospace and defence industries to examine strategic issues shaping peace and security worldwide. The conference is co-organised by the S. Rajaratnam School of International Studies (RSIS) and Experia Events, organiser of the Singapore Airshow. Focusing on the theme "The Changing Geopolitical Landscape of the Asia Pacific", discussions at APSEC will explore the prosperity brought about by economic growth in the Asia Pacific nations, particularly China and India, and how the continued rise of these Asian giants is resulting in the redistribution of influence and power in the region. The two central topics at APSEC are "Future Political, Economic and Diplomatic Challenges", and "Military Modernisation - Opportunities and Challenges". The Singapore Airshow Aviation Leadership Summit (SAALS), a high-level conference jointly organised by the Civil Aviation Authority of Singapore (CAAS), Experia Events, the International Air Transport Association (IATA) and the Singapore Ministry of Transport (MOT), will also be held on 12-13 February 2012. It will provide a platform for government leaders, airlines, airport operators and regulators, air navigation service providers and manufacturers to address a wide range of issues on building a successful and sustainable future, as well as climate change and security challenges. The theme for SAALS is "Driving Change, Overcoming Challenges Together". Together, the two conferences will generate strategic, solution-based discussions on the challenges facing the aviation industry, providing it with a compass for future development and growth. Following the resounding success of the inaugural series in 2010, a major highlight of Singapore Airshow 2012 will be the Business Forums which Experia Events is co-organising with industry partners. Presented by top aerospace buyers, high-level executives from government agencies and industry leaders, trade visitors and exhibitors at the Business Forums will be given the opportunity to understand procurement trends and strategies to tap potential business prospects and joint ventures in key growth markets, like India, China and Southeast Asia. The India Business Forum will be chaired by Dr C.G. Krishnadas Nair, Society of Indian Aerospace Technologies and Industries (SIATI) and will focus on three key topics - the Growth of Civil Aviation in India and Opportunities, Development of Airports and Infrastructure and Investments in the Sector, and The Vision Plan of National and International Airlines Including the Role of Low Cost Operators. The Chairman for the China Business Forum is Mr Ng Pock Too from New Board Technology. Participants at the forum can look forward to in-depth discussion and the exchange of industry development ideas on China and its fast-growing commercial aviation market. The Southeast Asia Business Forum will be chaired by Dr Aloysius Tay of the Association of Aerospace Industries Singapore (AAIS) and will focus on Procurement Trends, Aircraft Financing and Training. Mr Jimmy Lau, Managing Director of Experia Events said: "The strong growth in the Asia Pacific region has reinforced the position of Singapore Airshow as the key platform in the aviation industry to respond to rising demand in the region. It provides a conducive environment for governments and air and defence forces, airline industry representatives and regulators to come together, network and exchange ideas. The airshow also provides a strategic gateway for industry leaders and government officials to explore business opportunities and collaborations." 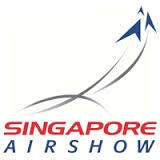 The Singapore Airshow 2012 returns from 14-19 February 2012 at the Changi Exhibition Centre and has consistently drawn strong attendance from high-level military delegations, senior government officials and leading industry players. With the strong participation this year, the event looks set to be bigger and more spectacular, presenting the finest in aviation technologies and systems from some 900 companies across 50 countries. Singapore Airshow is organised and managed by Experia Events and serves as a global marketplace and networking powerhouse for the world's aviation community. Singapore Airshow also features a series of high level conferences dedicated to leading players in the global aviation industry - Singapore Airshow Aviation Leadership Summit (SAALS) and the Asia Pacific Security Conference (APSEC). Experia Events specialises in organising and managing exhibitions and conferences of strategic interest, fostering industry development and thought leadership. It has built a strong portfolio in aerospace and defence with the highly successful Singapore Airshow, Asia's largest and one of the most important aerospace and defence exhibitions in the world, and IMDEX Asia, the premier international maritime defence exhibition in Asia. Its expertise also extends to the government and lifestyle sectors, through key events such as the Singapore International Water Week, World Cities Summit and CleanEnviro Summit Singapore. With a proven track record underscoring its aspirations to stage events that influence, Experia Events aims to diversify its range of strategic events globally. For more information, visit: www.experiaevents.com.